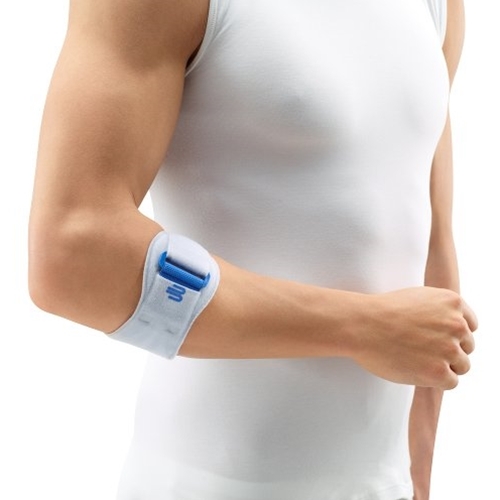 Bauerfeind EpiPoint Tennis Elbow Support Strap from HealthyKin.com is a dynamic elbow strap for tennis elbow and other overuse conditions. EpiPoint is available in one size and will fit a forearm circumference between 8¾ - 13 inches. The circumference of the elbow should be taken around the widest point below the elbow joint, with the elbow bent. EpiPoint is universal, fitting both the right and left arm. This is accomplished by rotating the anatomically contoured viscoelastic insert. Good quality, fair price and free, time appropriate shipping. This was a good deal.